We all contemplate the meaning of our life from time to time. Why are we here? Why do we live, work, talk to people, marry, have children, adopt pets? What is the most important thing in our life? Some think about it more often than others, but it’s hard to imagine someone who hasn’t at least given it a thought. 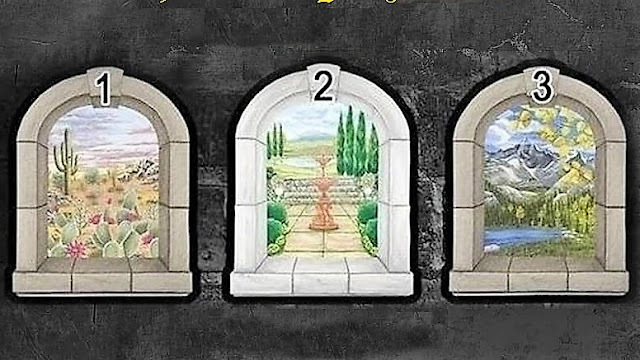 The window test will reveal what is hiding inside our soul and consciousness. Choose one of them, and it will show the way your life is heading. Don’t think about it for longer than 5 seconds: the very first answer that comes to your head is usually true. Window 1: the most important thing in your life is your job. This is the area you should focus all your effort on, and this is where you will succeed. Window 2: for you, nothing is more important than love and friendship. You are an outgoing person who values true romance and loyalty. Window 3: family is everything for you. You were born to create a strong and happy family. So, does your result ring true? In fact, deep inside everyone knows what they value the most in life, and which things come second, third, etc. Sometimes, however, we all just want someone else to answer this question for us.